This highly modified crater is located in Arabia Terra at the boundary between the southern highlands and northern lowlands. The crater is intersected by one of the putative shorelines of the hypothesized ancient northern ocean. It is in a region which has also been proposed to have younger Amazonian fluvial deposits. 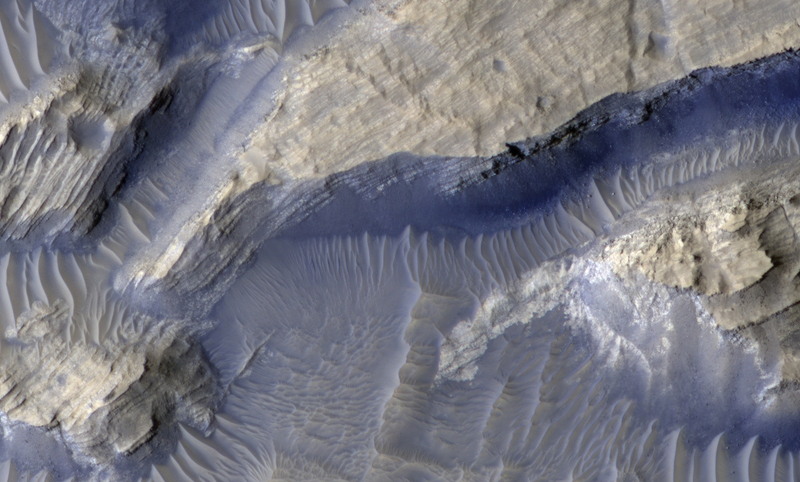 The south rim of the crater is additionally cut by well-defined gullies. The crater is filled with sediments, possibly fluvial or lacustrine in origin. They were probably emplaced in two or more separate episodes, as two different floor units are clearly visible, separated by a fractured zone. 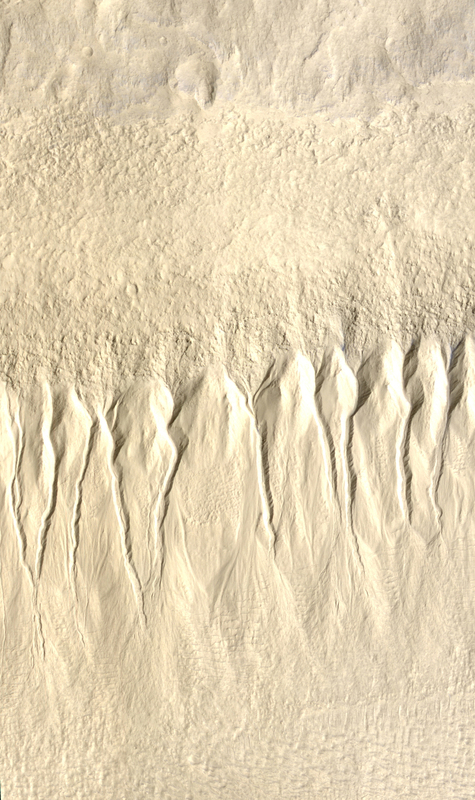 The erosion pattern of the mesa walls shows that the inner structure of the upper floor material is densely layered. 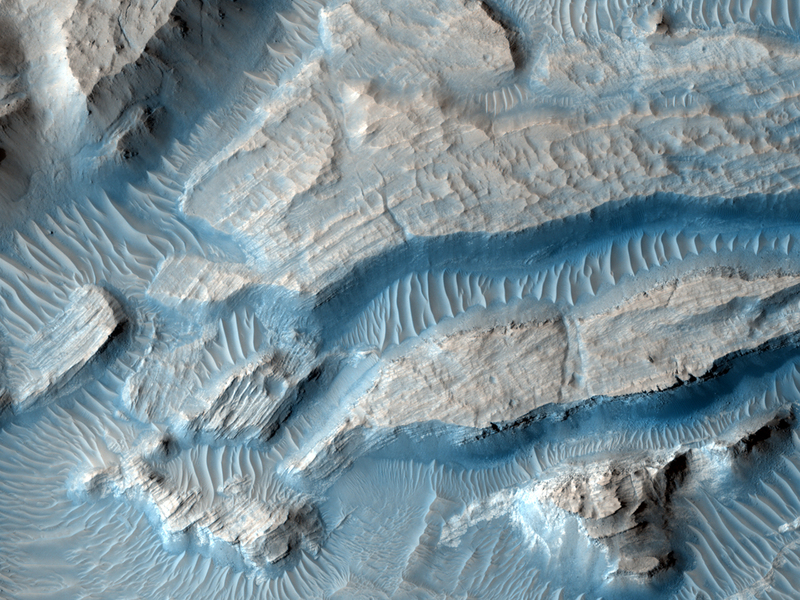 The mass wasting (landslide) deposits from the mesas superimpose the aeolian ripples, suggesting that the mesa degradation and fracturing is recent, and possibly even ongoing.